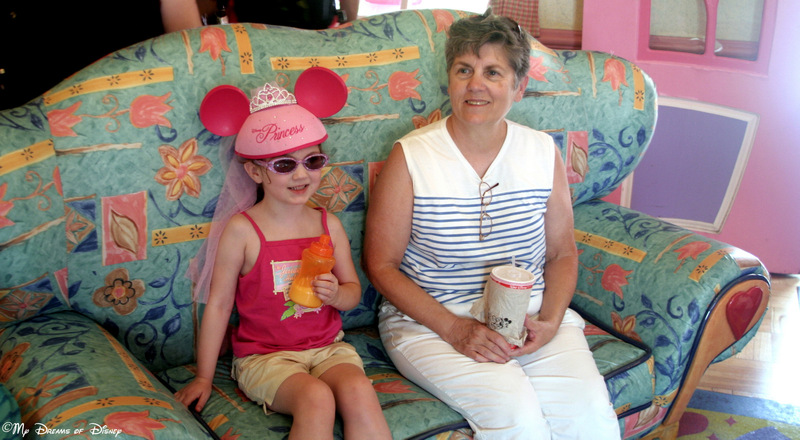 Sophie with her Meemaw during this special one day trip to the Magic Kingdom, August, 2006. Tomorrow is my Mom’s birthday, so I thought there was no better way to say Happy Birthday then with a post for the Wordless Wednesday blog hop! 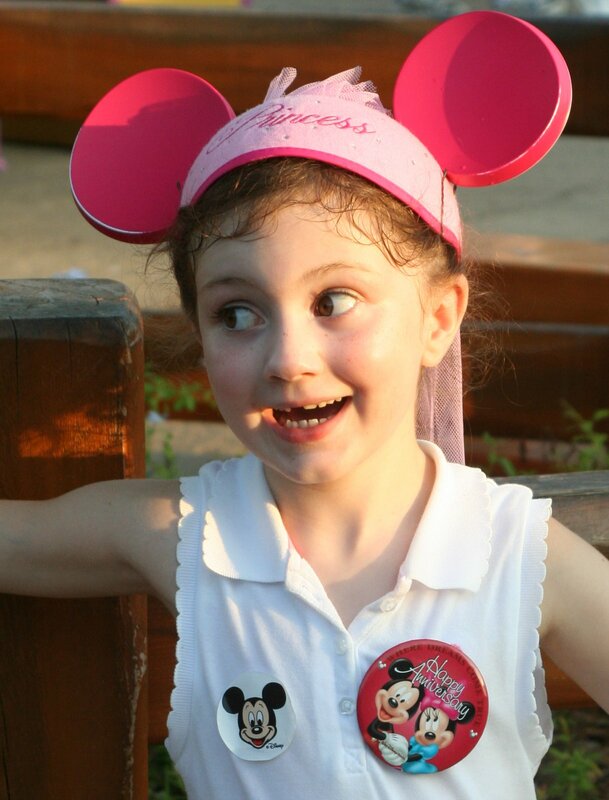 Happy Birthday Mom, do you remember our trip to the Magic Kingdom with Sophie in 2006? That was when this picture was taken! Seriously, though, Sophie, Cindy, and I all hope you have a wonderful birthday! We love you! Here are a few more pictures for you to enjoy! 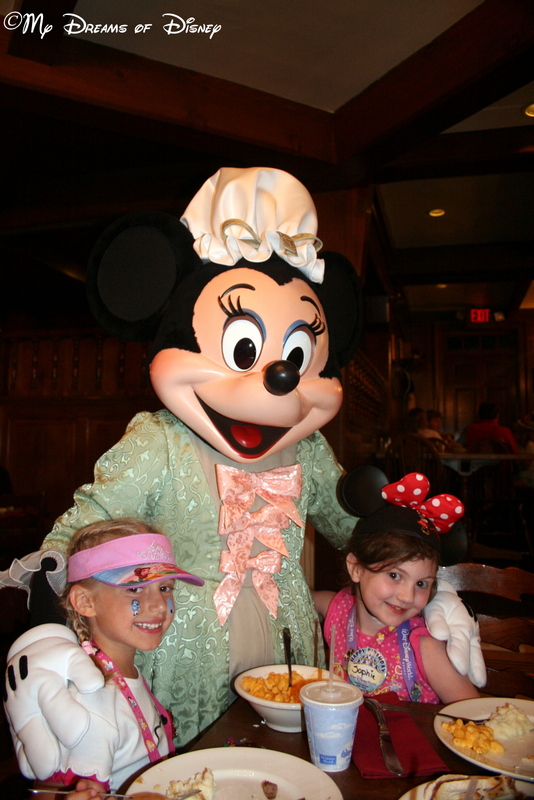 Sophie had her BFF Riley with her to celebrate her birthday at the Liberty Tree Tavern, June 19, 2008, with Minnie Mouse! Sophie was soaking wet after cooling off at Pooh’s Playful Spot in 2007! 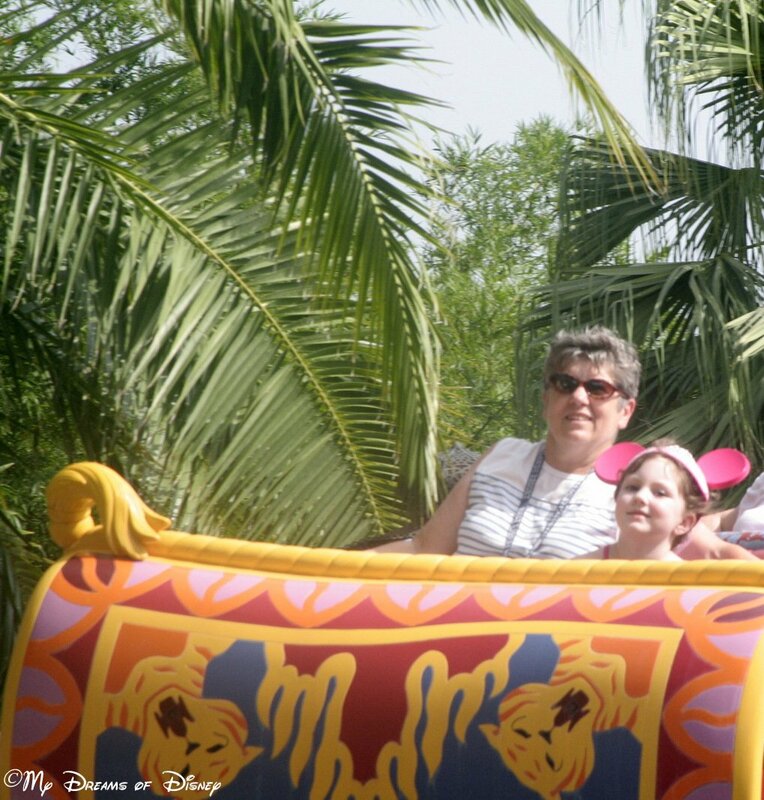 Meemaw and Sophie on The Magic Carpets of Aladdin! 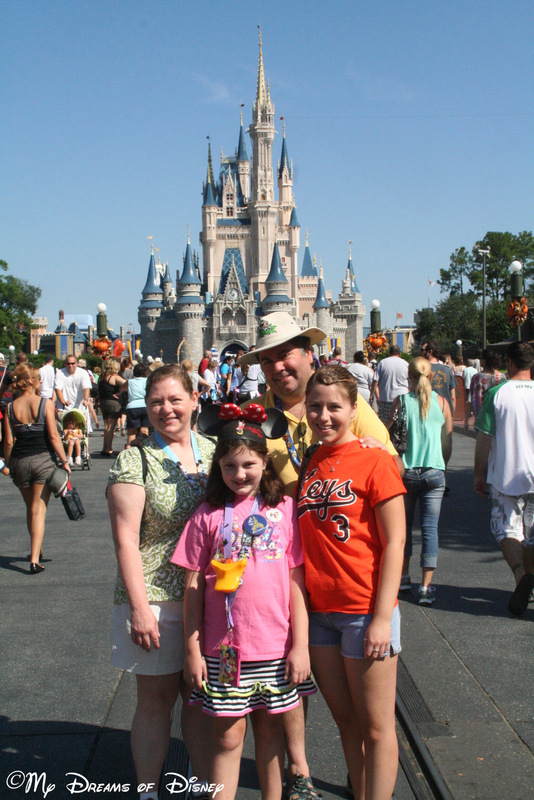 Cindy, Mike, Sophie, and Stephanie in front of Cinderella Castle, October 1, 2011, for the 40th Anniversary of Walt Disney World! 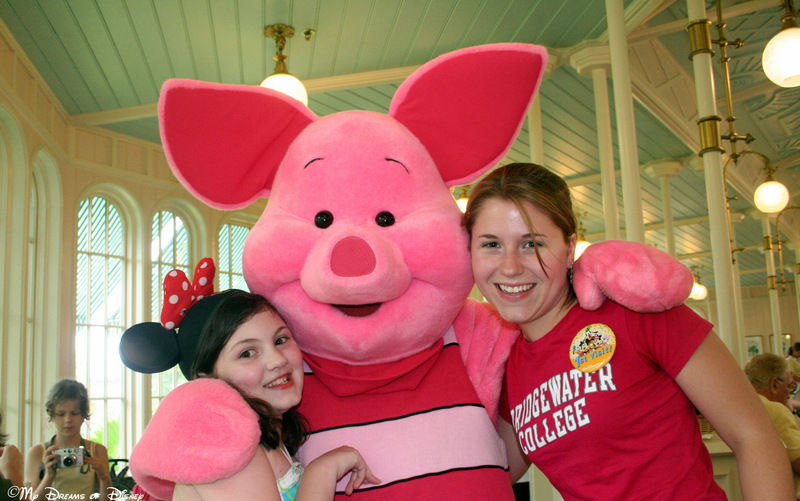 Sophie, Piglet, and Stephanie at The Crystal Palace in 2010! I hope you have enjoyed your birthday tribute, Mom! I pray for many more years of fantastic birthdays, and maybe a trip to Disney World again with us? Maybe even Dad will come? Please, pretty please? Anyway, I would like to thank my good friend Deb from Focused on the Magic for hosting this incredible weekly hop around Disney! Thanks, Deb! Now, go check out the rest of the posts! Just click on the button below, and thanks for stopping by! 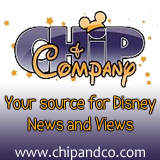 Remember, we’re teaming up with Chip & Company on a great giveaway this week! 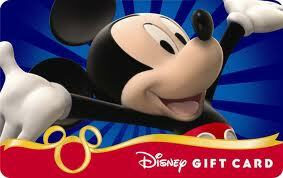 We’ve got a $25 Disney Gift Card and a Disney Fantasy Photo Album to one lucky winner! To enter, there are some requirements you need to meet, you can find them and enter to win over at Chip & Company. Good luck! So tell me, what would you do if you won the Gift Card? Are you planning a trip, or is your planning all done and all you need to do is wait out your countdown timer? Either way, $25 would be a good shot in the arm to help you have a little fun, so make sure you enter, and good luck! When I think back on how much time has elapsed since the world was altered on September 11, 2001, it astonishes me that it has been eleven years since that fateful day. In so many ways it seems like it just happened, but at the same time, it feels like it was a lifetime ago. I guess in many ways it was a lifetime ago for many of us. I’ll never forget where I was when disaster struck. I was at home with Sophie; she was eleven weeks old, and I was off taking care of her. We were at home, and I was feeding her when my wife called, told me to turn on the TV, that a plane had crashed into the World Trade Center. I watched, horrified, as a second plane crashed into the other tower, and couldn’t take my eyes off as I saw the towers collapse later on. My wife had a cousin that worked at the World Trade Center. She was supposed to be there at 9AM for work, but decided to get some work done at home that morning instead. I’m always amazed at how God chose a different path for her that day. In the days after that horrific day, part of me felt like the country was in a daze, moving on, but only because we were supposed to. Remember how the planes were grounded? For me, that was hard, because my Grandpa was a mechanic for United Airlines for 41 years, and I grew up around airports and planes when I was younger. I remember, I was in the parking lot for our local Lowes home improvement store when I glanced up, and there was a plane flying. It was a weird moment, almost like there was something there that shouldn’t have been. Today is a day to remember, to pray for those that lost loved ones, to pray for God to comfort us, to strengthen us, to give that incredible sense of Peace that knowing Him can give, and to remember how that day felt to those that lived through it, lest we forget that day entirely. In tribute to the men and women that we lost that day, I want to share a YouTube video that I hope you will enjoy.